Introduction to Sport Marketing is an accessible and engaging introduction to key concepts and best practice in sport marketing. Aimed at students with little or no prior knowledge of marketing, the book outlines a step-by-step framework for effective sport marketing, from conducting market analysis and developing a strategy, through to detailed planning and implementation. 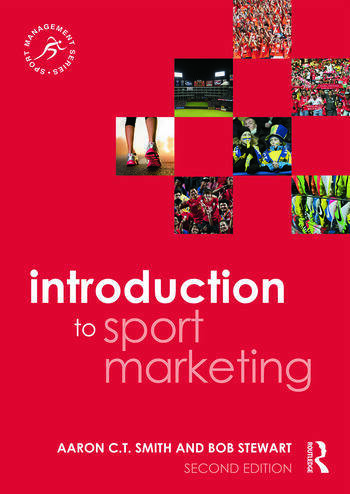 The book has a wider scope than other sport marketing textbooks, recognising that students are just as likely to have to employ their marketing skills in community sport or the not-for-profit sector as in professional sport, and therefore represents the most realistic and useful sport marketing text currently available. Now in a fully revised and updated second edition, the book has expanded coverage of digital and social media, product innovation, services and relationship marketing, and key contemporary issues such as social responsibility and sustainability. It features a much wider range of international cases and examples, covering North America, Europe, and the vibrant and rapidly developing sport markets in Asia-Pacific, the Middle East and Latin America. Every chapter includes a range of useful features to help the reader to engage with fundamental principles and applied practice, such as problem-solving exercises and review questions. Introduction to Sport Marketing is an essential textbook for any degree-level sport marketing course. Aaron C.T. Smith is a Professor in the Graduate School of Business and Law at Royal Melbourne Institute of Technology (RMIT) University, Australia. Aaron has research interests in the management of psychological, organizational and policy change in business, sport, health, religion and society, and has authored fifteen books and consulted to more than 100 clients concerning these issues. Aaron’s qualifications include two doctorates, the first in management and the second in cognitive science. Bob Stewart is director of the sport management and policy research program at Victoria University, Australia. Bob is one of Australia’s most experienced sport studies scholars, and has taught a range of sport management subjects at both undergraduate and postgraduate level, including sport finance, sport policy, sport strategy, sport organisation performance, sport economics and sport and globalisation. Bob has also written widely on the commercial evolution of sport, and his theories of hyper-commercialisation and post-modernisation in sport are used as templates for the analysis of the sport–business nexus.